Not only was John Cage the first to use the turntable as a musical instrument, with his piece “Imaginary Landscape No. 1” way back in 1939, he also used 12 radios in “Imaginary Landscape No. 4” in 1951. Four decades later, in 1991, composer Phil Kline took the boombox-as-instrument concept to a whole new level in the parking garage. While Cage only employed a small handful of the devices–each tuned to a different radio station–Kline actually recorded his own minimal music onto tapes and discs and handed them out to dozens of people, who played them back simultaneously to form a roving spatial sound sculpture as they walked around the streets of New York City in a form of avant-garde Christmas carol called Unsilent Night. 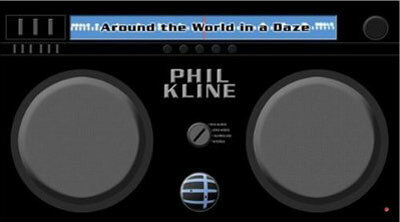 In 2009, Kline released a deluxe DVD set called Around the World In a Daze featuring his boombox orchestra augmented with instruments and field recordings–all layered back upon themselves. You are currently browsing the archives for the Phil Kline category.